Today Con is that silence, a life now part of a “mystery at the center” into which words will penetrate insufficiently at best, the way sunlight beneath the surface of a deep ocean shimmers a few meters at most then disappears. Con died on January 11, 2017. Several weeks previous, his daughter, Jane, wrote that her father had written to her that he planned to “make his exit” after Christmas but wasn’t sure he could endure that long. He endured and then died from complications of cancer and pneumonia. He was 88 years old. 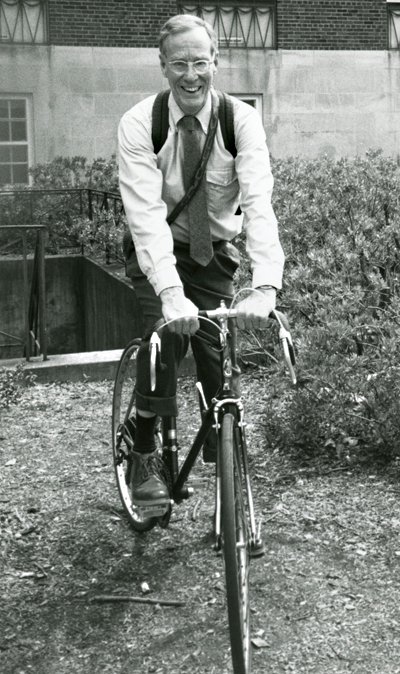 A campus memorial service for Con will occur on Saturday, February 4, at 1 p.m. in Stetson Chapel. A reception will follow in the lobby of the Light Fine Arts Building. 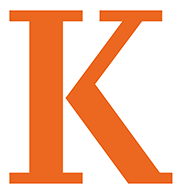 Memorial donations may be made to The Katharine Hilberry Scholarship Fund at Kalamazoo College. His prolificity as a poet sometimes obscured the fact that he was a marvelous writer of prose, author of the genre-bending creative nonfiction piece, Luke Karamazov, and countless essays and chapel talks, often on poets such as John Donne and Galway Kinnell, two he particularly loved, though there are many many more. Con loved to illustrate with poems the ideas he articulated in his prose as if to remind us that poetry (as he once said) can be a brief and invigorating elevation from the “lowly ground” of our inward selves–not that such ground is bereft of beauty and mystery, only that our souls seek a glimpse of something abundant beyond our own inwardness. Con often found that abundance, “a pool of meaning,” in the ordinary. In 1995, three years before his retirement, he began teaching night classes in poetry at the Stryker Center. These he continued for some 15 years, and many of his ex-students and members of the greater Kalamazoo community attended. Con helped poets make and publish their poems, and the list of these writers is impressive, including, among others, Susan Blackwell Ramsey, Corey Marks, Gail McMurray Martin, Marie Bahlke, Kit Almy, Gail Griffin, Rob Dunn, Hedy Habra, Marion Boyer, Bonnie Jo Campbell, Jane Hilberry, Amy Newday, and his lifelong student and friend, Pulitzer Prize finalist Diane Seuss. His beloved wife of 60 years, Marion, who died on April 8, 2008, often joined him in these classes. He was a poet and teacher of the people, deeply involved in the city of Kalamazoo’s Poetry on Buses program during its heyday. Often, with fellow poets (and friends) Herb Scott and John Woods (English professors at neighboring Western Michigan University) among others, Con would bring poetry into public middle schools, somehow managing to engage that always potentially intractable audience into the “best poems,” which Con considered an ineffable harmony of vividness (which the junior high students loved) and wholeness (where, often, the work began). He served as an editor of the Third Coast anthologies of Michigan poets and seemed to be a friend to every writer therein. In his teaching prime Con’s presence was unforgettable, especially his red hair and ready smile. His limp and the rattle of his bike always suggested some past accident that had had no effect on his love of biking steep grades, celebrating gravity. And why not celebrate the force that holds us in what he called our “borrowed dust” for our short while on earth–the best, the only place for love. In his last chapel talk (2001), using a line from a poem by Stanley Kunitz, Con said, “I have walked through many lives, some of them my own.” Indeed, Con contained multitudes. So like Con: able to sort by scent the smoke of sleep and laughter. He was, to the very end, the poet of the ordinary’s miracle. This entry was posted in News Stories, People in the News and tagged English, faculty, liberal arts, poetry, . Bookmark the permalink.